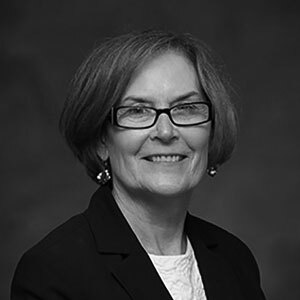 Cathy Hamel has over 20 years executive experience in healthcare management from small physician practice management to Fortune 500 business development and operations responsibilities, including acquisition and development activities. She held executive positions at NeighborCare At Home, Severn Healthcare, Inc., Columbia Healthcare Corporation and TeamCare. At Columbia HealthCare Corporation she participated on a team that submitted an application and subsequent survey for the Malcolm Baldridge Quality Award for Healthcare. She was directly responsible for the Information Management survey responses. Hamel has been with Gilchrist since August of 2008 and started as the organization’s Chief Operating Officer. She was promoted to Executive Director in November 2009 and President in 2015. In addition, she was appointed to the position of Vice President of Continuing Care Services for GBMC Healthcare, in July 2011. Hamel serves as the President of the Hospice Alliance in Maryland where she was instrumental in building a state-wide program for children’s hospice services, Alliance Kids. She also serves on the Board of Global Partners in Care where palliative and hospice care is promoted internationally.